The "Show Me" state is showing Turkey's military PKK movements in northern Iraq. Through the Freedom of Information Act, Washington Post investigators obtained details of a September 2012 crash of a Predator in Northern Iraq. The wreckage was found by members of the Kurdistan Workers Party (PKK). 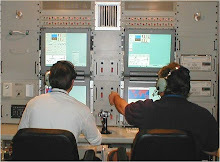 The resulting Post story included information on Operation Nomad Shadow which had orchestrated a surveillance mission that ended in the loss of the MQ-1 Predator UAV. A video claiming to have been shot by the PKK was posted on YouTube (and referenced in the Post story) and seems to show a still-smoldering wreckage. 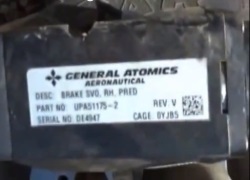 A frame from that video with a serialized part number is shown here. Operation Nomad Shadow, the Post infers from various sources, is a joint U.S. - Turkey collaboration that is conducted over northern Iraq with the approval of the Iraqi government. The program was launched in order to deter PKK - Turkish clashes in northern Iraq that some believed risked further destabilizing the situation in Iraq. Originally the Predators currently in use were based in Iraq. The Predator cameras and sensors are disabled over Turkish territory, at Turkey's request. 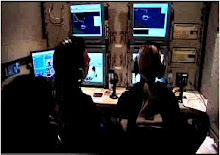 Transcripts of interviews with the drone’s ground crew mention that they were deployed to Incirlik [Air Base] with the 414th Expeditionary Reconnaissance Squadron. Another document identified the lost aircraft as NOMAD 01. . . The operation is staffed by about three dozen personnel from the U.S. Air Force’s 414th Expeditionary Reconnaissance Squadron and private contractor Battlespace Flight Services. World War II history buffs will be interested to note that the 414th was originally a B-17 heavy bomb squadron that flew missions in northern Africa and southern Europe during WW II. It was deactivated in 1945 and only reactivated in 2011, likely as part of Operation Nomad Shadow planning. Pilot duties for the Predator are executed from Whiteman AFB in Missouri. The individual UAV lost is part of an overall $20M Predator MQ-1B system consisting of four UAVs, sensors, a ground control station, satellite link and local Turkey-based operations staff. The MQ-1 has a nose camera for flight control, a high-resolution TV camera, an infrared camera as well as other sensor systems. The Missouri-based 509th Bomb Wing crew includes the pilot, a sensor operator and a "mission intelligence coordinator." Each Predator system is valued at about $20 million.